It is observed that a progressive increment in slump of wet concrete is found with replacing sand from concrete with glass sand. The replacement is about 50% which leads to peak slump but after that a decreasing trend is observed. We can explain this; an overall better grading is achieved when equal proportion of sand and glass sand remains in fine aggregate. For an equal time interval, the concrete produced with 50% sand replacement, shows a higher ultrasonic pulse velocity then other replacement percentage. We are trying to explain, briefly, about ultrasonic pulse velocity here. c. Other types of non-destructive tests: equipments are developed for measuring different crack parameters etc. 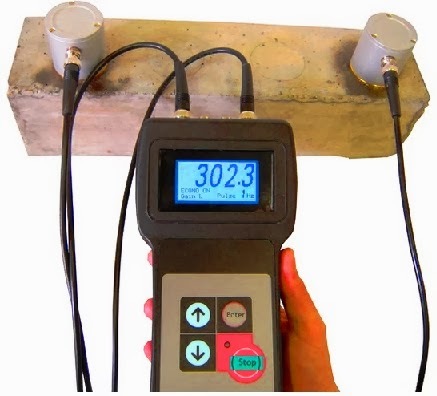 In ultrasonic pulse velocity test, ultrasonic pulses are transmitted through desired concrete section and velocity of pulses is measured while they travel from transmitter to receiver. There have a correlation between strength and pulse velocity. A higher velocity defines a stronger concrete relative to a slower one. Let us know typical ranges of good pulse velocity. When pulse velocity is 4 km/s concrete is considered good. But a velocity below 3 km/s is indicative to poor concrete quality. The concrete made with 50 % replaced glass sand showed velocity about 3 km/s. 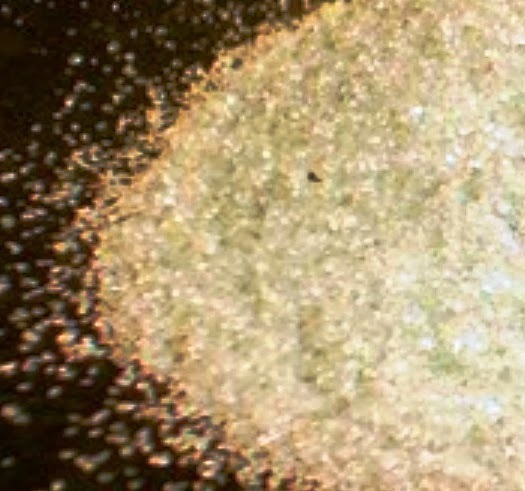 Now consider 100% replacement of sand with glass sand. In this combination of mix proportion also indicates an equal or greater compressive strength than control mixes at same time interval. A concrete mix at 28 days can achieve 49.1 Mpa compressive strength while a glass sand replaced concrete produces a slightly greater value 49 .5 Mpa. Thus 100% replacement of fine aggregate is possible. But 50% replacement with glass sand produce 10% greater compressive strength than control mixes. As discussed in last part, this concrete has highest slump and best ultrasonic pulse velocity. Thus it can be concluded that 50% glass replacement for sand (sand glass) is optimum value to have optimum mechanical properties from concrete made of waste glass.